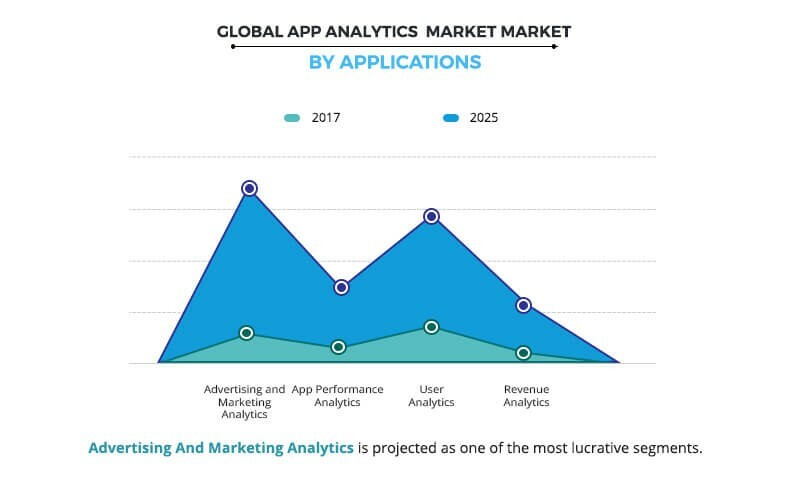 The global app analytics market was pegged at $920 million in 2017 and is expected to reach $3,798 million by 2025, registering a CAGR of 19.5% from 2018 to 2025, according to a report by Allied Market Research. 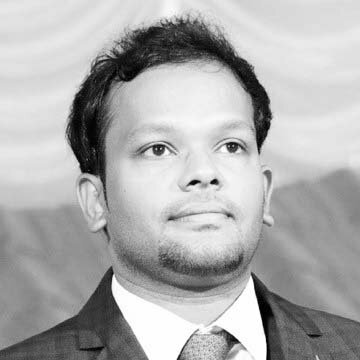 App analytics helps the organizations to monitor customer lifetime value by users generating high revenue from customers. Increasing inclination of enterprises towards mobile-based advertising, the rise in smartphone penetration in developing economies, growth in a number of mobile & web apps, and rise in investment in the analytics technology drive the app analytics market demand. 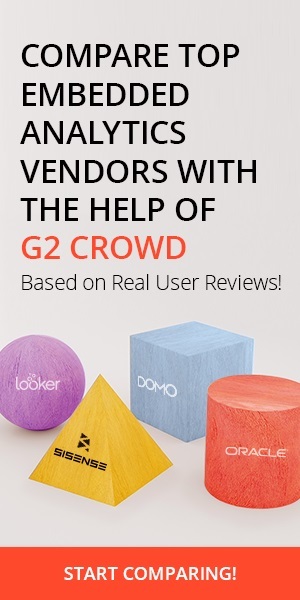 However, the availability of open source alternatives and non-uniformity of data are the factors expected to hamper the growth of the app analytics market during the forecast period. 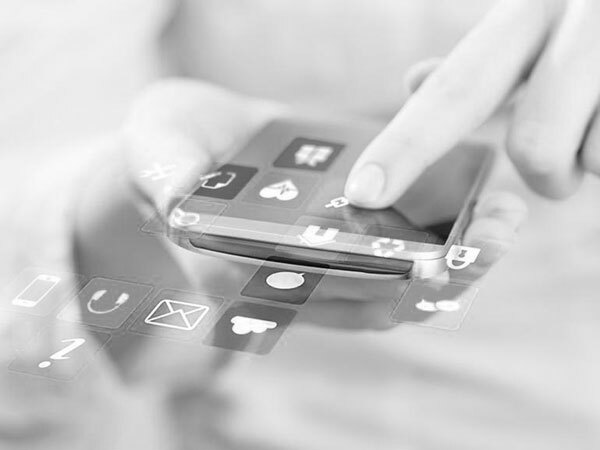 Furthermore, a major shift towards customer-focused marketing and an increase in focus on higher ROI and growth in the trend of bring-your-own-device (BYOD) are expected to provide lucrative opportunities for the market. 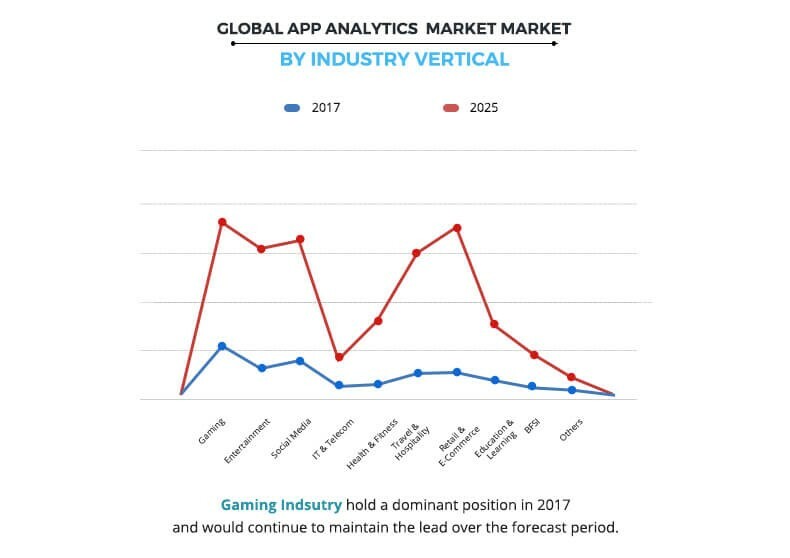 The software segment dominated the overall app analytics market share in 2017 and is expected to continue this trend during the forecast period, a number of organizations are integrating app analytics software into their applications to monitor the users, app performance, revenue, and monitoring, and marketing. The retail & e-commerce industry is expected to witness the highest growth rate in the upcoming years owing to the rapid growth of adoption of app analytics software and services. This growth in adoption is due to the massive usage of shopping apps. 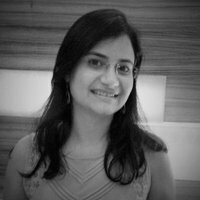 Moreover, retailers are compelled to use advanced analytics to ensure their business survives the competition due to growth in competition in the retail & e-commerce industry. 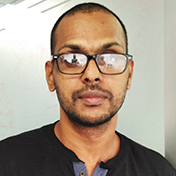 This drives the adoption of app analytics software in this industry. North America dominated the overall market in 2017, owing to technological advancements and recent developments pertaining to the market. 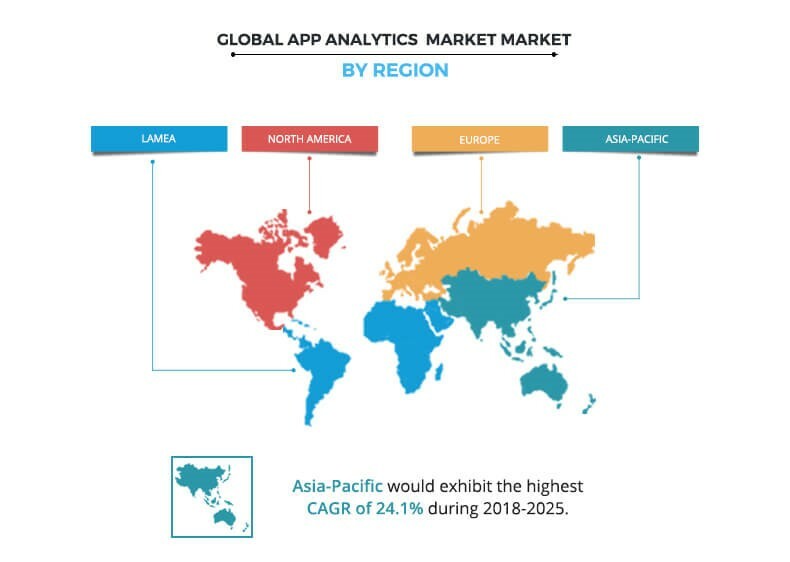 However, Asia-Pacific is expected to witness the highest growth rate during the forecast period due to increase in a number of people equipped with tablets and smartphones across countries such as China, India, and Indonesia which presents a major app analytics market opportunity.